I think the changing seasons has got me in the spring cleaning mode. I'm not a hoarder by any means, but a good old fashioned chuck-out is one of my favourite things. Poor Joshua doesn't always share my feelings on this matter. I've been pinning a lot of interiors lately, itching for some new things in our little space we call home. 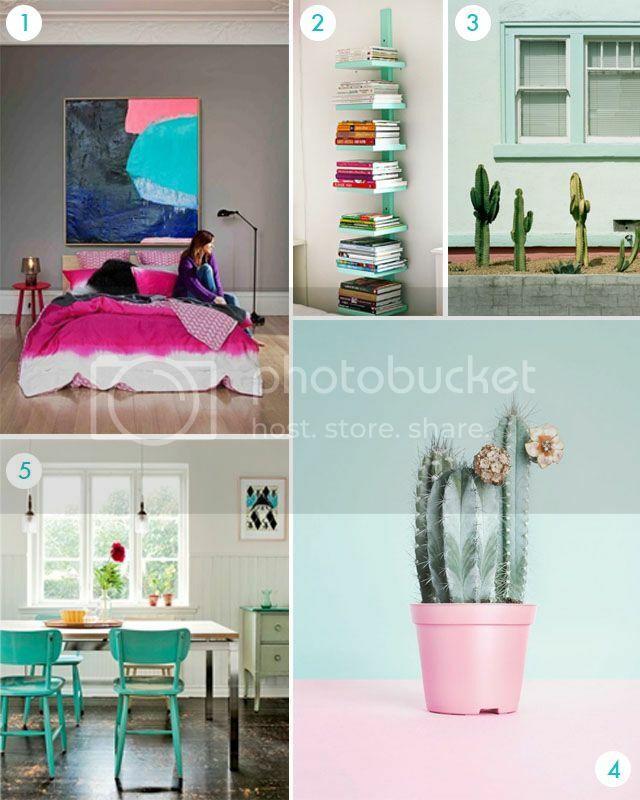 I didn't notice until all the pictures were together, but there's a whole lot of aqua (and cacti?) coming through. Maybe that's a sign of what's to come this season.